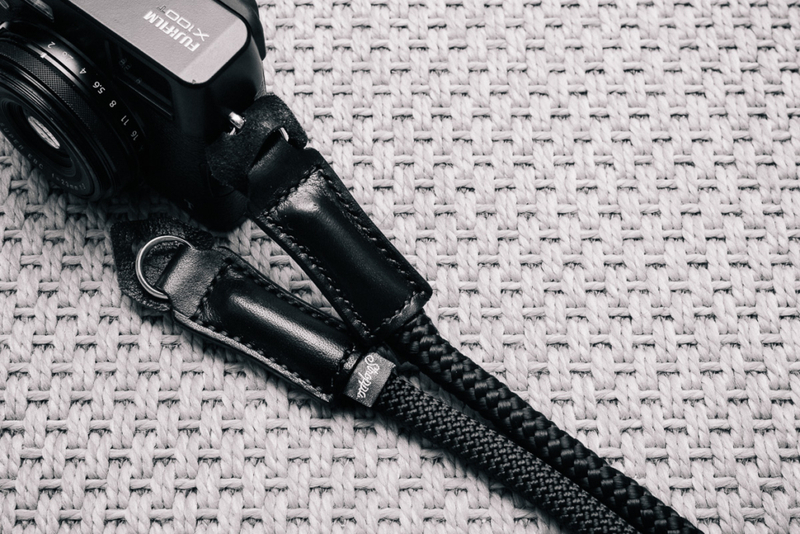 Stroppa is a relatively new comer in the camera straps landscape. They produce leather and rope straps that can cover different looks and usage. Let’s give a look to the Stroppa Flex, Active and Duo! 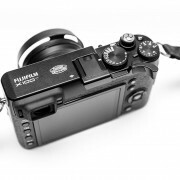 Flex attached on the Fujifilm X100T, Active next to it. First of all, the first thing you see is the build quality. The Stroppa straps are handmade in Poland with high quality rope and leather, and it’s quite obvious when you unpack them from the little pouch they come with. The rope looks very good, for any of the three models (more on that later). The most impressive is the junctions between the rope and the fitting rings. It’s HUGE. Absolutely oversized. Which is both a positive, and a negative thing. The positive side is that it feels like the strap won’t break anytime soon. It’s definitively an investment that will last. I’ll come back in a few months from now with an update, but after a few weeks it really feels it’s going to last. The leather junction between the rope and the rings is much bigger than any other straps of this kind. The leather is still new and pretty stiff. It will get smoother for sure, but I don’t expect the junction to become as flexible as other brands’ are. 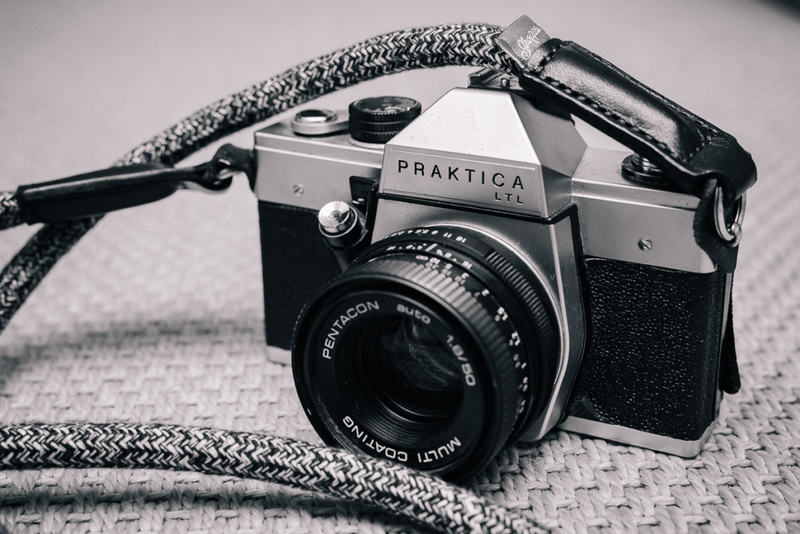 It feels very well on the beefier cameras I own such as the Praktica or the Canon AE-1. 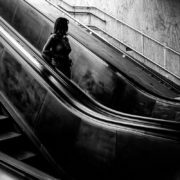 However, on smaller ones such as the X100T I need to hold the junction with the camera as a kind of grip, so that it doesn’t go in my way. So on one side you gain with build quality and toughness, but on the other side you lose with practicality, depending on your camera. My feeling is that the Stroppa straps were developed with film or larger digital cameras in mind that the pocketable X100T. A small detail, but that matters: the rings are sturdier than most of the other straps on the market, but also feature a longer single row that most of them. I just love this, as my other straps often get stuck in the X100T’s very thin attachment. Only once I did have to intervene, while it’s a daily job with my others straps to unstuck them. Well done! Duo on my old Praktica. Yes, the Stroppa line has, at the beginning of 2017, 3 models: the Flex, the Active and the Duo. The Flex is the one that, at least to me, seems to make the most sense. It’s the most flexible of the three, the one that seems the most practical in a daily basis. The rope is made of polypropylene silk. 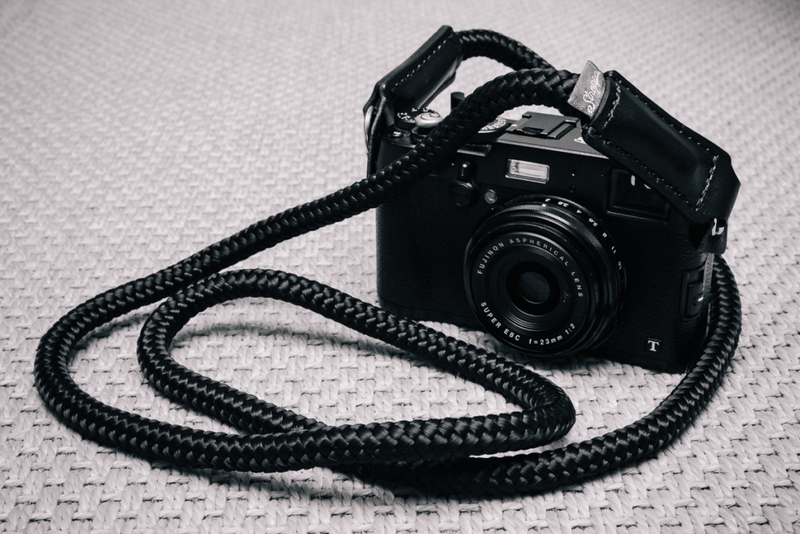 I like to roll my straps on my wrist rather than hanging it at my neck when attached to my Fujifilm X100T. Its additional flexibility is a must in this scenario, and it did a perfect job. The Flex is available in Black only, but more colors are to follow soon. The Active is the strong one. 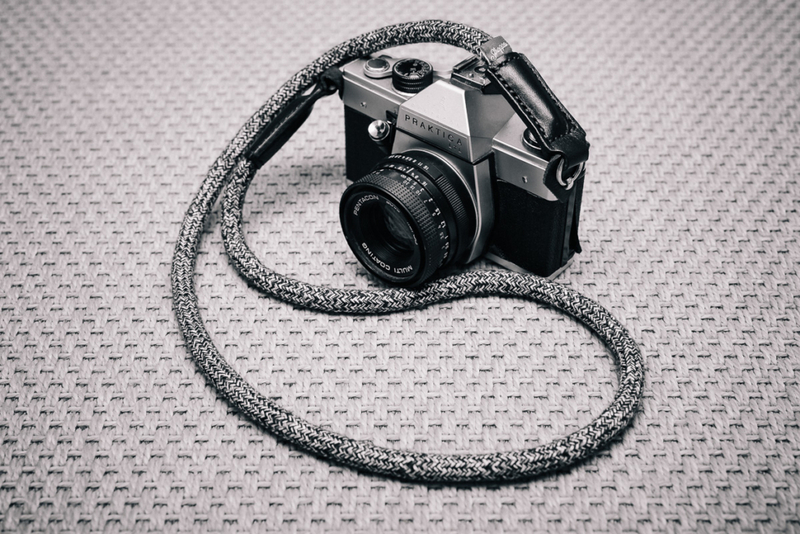 Its rope is made of poliamid threads for it to resist the abuses of harsher environment… or heavier cameras. It’s quite obvious when side by side with the other 2 models. The rope is thicker, stiffer too, and definitely support heavier cameras than the Flex. Because of that, forget about rolling it around your wrist. However, it will be a great companion for my Canon 6D. In this case, the strap is mostly a third hand for when I change my lens, or a security feature by rolling is, with just one loop usually, on my forearm. It will fit perfectly… once I have a solution to pass the Active’s heavy-duty rings in the Canon’s small strap attachments. The Active is only available in black. Flex on the X100T. Big junctions are big. Overall, I am very pleased with the few weeks spent with the Stroppa straps. As previously stated, I feel they fit better with beefier cameras rather tan with smaller, pocketable ones. The Flex will be on my Canon AE-1 (once it comes back from the doctor’s office 🙂 ), the Duo is on the Praktica, and the Active will soon be on the Canon 6D. 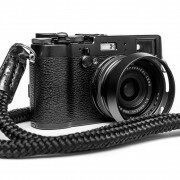 The X100T is keeping its older strap with the more flexible junction, for the time being. Where can I find the Stroppa strap? Note: the straps were given to me free of charge for this review. However, it doesn’t impact this review’s objectivity. Very interesting review Pierre!! I’m now interested in purchasing one, but I would like to test it first to see how it fits on my Olympus. Do you know if they are available in Romania or the only option is to order on Stroppa’ site? The parcel was sent to me after a few days. Afterwards, the Romanian Post services kind of lost track on the parcel once it reached the country, but that’s not Stroppa’s fault, that’s unfortunately business as usual around here. how would you compare these to the ones from sailor strap? I can only compare to the Sailor Strap Lt (2 pieces of it). First of all, both Sailor Strap and Stroppa are excellent quality straps, you can’t get wrong with any of them. The Sailor Strap’s junctions being smaller and more flexible, I think they suit more smaller cameras e.g. my X100T. I’ve been alternating with the Stroppa Flex and the Sailor Strap are more confortable in this setup. However, with a bigger camera, the Stroppa are definitely a better choice.